While presiding over the meeting of Cabinet Sub Committee on implementation of BJP Election Manifesto, IPH Minister Ravinder Singh Ravi that State Government has ensured 70 percent employment to Himachalis in all hydropower projects and industries established in the State. The present Government had made it mandatory in agreements for all such projects to give 70 percent employment to the Himachalis besides making a provision of legal action in case of violation. 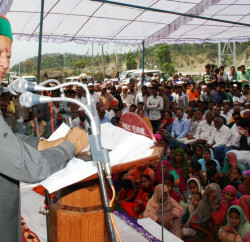 Ravinder Ravi said that BJP had made a promise to make Himachal Pradesh a self reliant and prosperous State. After assuming the power in the State, the party adopted the election manifesto as its policy document and added that during last three and half years, the present BJP Government had not only fulfilled promises, but had implemented various ambitious schemes and programmes to benefit the common man. 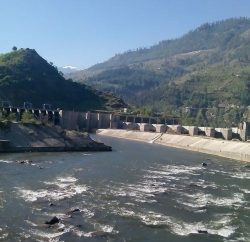 He added that it was due to the efforts of the State Government that the State had got about 1100 crore rupees as royalty from hydropower projects in the year 2010-11, which was only Rs. 750 crore in year 2007. The State earned Rs. 130 crore as upfront premium in the first two months of the current financial year. He said that the State had earned 85 crore rupees as upfront premium in 2010-11, while it was Rs. 1.43 crore in 2006-07. He added that the State was marching towards becoming ‘Power State’ of the country and so far 6728MW hydropower capacity had been harnessed while 2100 MW more hydropower was expected to be exploited during this year. IPH Minister said that the hydro power project allotment process had been made transparent and upto 2 MW capacity projects were being allotted to Himachalis only whereas they were being given priority in allocation of 2 to 5 MW projects. He said that a provision of Rs. 140 crore had been made by the State Government to provide subsidized electricity to the domestic consumers. Besides, Rs. 211.67 crore were spent in 2010-11 for ensuring adequate power supply in the rural areas. The Minister said that the State Government was safeguarding the interests of the local people during land acquisition for hydro power projects in the tribal areas of the State and the people were being provided good amount as compensation for land acquisition. The State Government was also endeavouring to take back Shanan project from Punjab. IPH Minister stated that there would be no cut in HRTC fleet and efforts would be made to provide more bus services to the areas having road facility. He said that a special cell will be established in the office of Transport Minister to address the grievances of the transporters. He said that as per the commitment made in the election manifesto, the State Government had reduced the three month and annual toll tax to Rs. 50 and Rs. 150 respectively. Health Minister Dr. Rajiv Bindal said that various schemes and programmes were being implemented by the State Government to realize the dream of making Himachal Pradesh a prosperous and self reliant State. He said that traffic problem in Baddi-Barotiwala-Nalagarh industrial area would be solved on priority and ‘Mudrika’ bus service would be started here to facilitate the people.